Tongue-tie is a very common condition affecting around 10% (or more) of the population. The controversial nature of tongue-tie is due to not having an accurate understanding of what it is, how to diagnose it, how it relates to common problems like nursing difficulties and speech issues, and how to treat it. There are also differing opinions about how to treat it by different disciplines from ENTs to pediatricians, dentists, speech therapists and lactation consultants. In this course, we will present the strong evidence supporting treatment of tongue-tie and lip-tie as it relates to breastfeeding, speech, and dental issues. The patient history, proper exam technique, making a diagnosis, and the research supporting treatment is discussed in detail in Part 1. It is critical to have a solid foundation of what a tongue and lip-tie are, how to recognize them, and the research that backs up the treatment before treatment should begin. In this follow up course, Part 2, we will discuss treatment strategies, laser selection, a step-by-step technique, and a dozen clinical cases. There are many clinical videos to illustrate the technique with two different types of lasers (diode and CO2) that can be used to perform the procedure. The treatment is relatively simple, but the diagnosis, patient history, and case selection discussed in Part 1 is critical to ensure the treatment is necessary and can be effective. It is recommended to view Part 1 before viewing this course. Dr. Baxter attended Vanderbilt University for his undergraduate studies and the University of Alabama at Birmingham School of Dentistry where he graduated at the top of his class and was inducted into OKU, the national dental honor society. 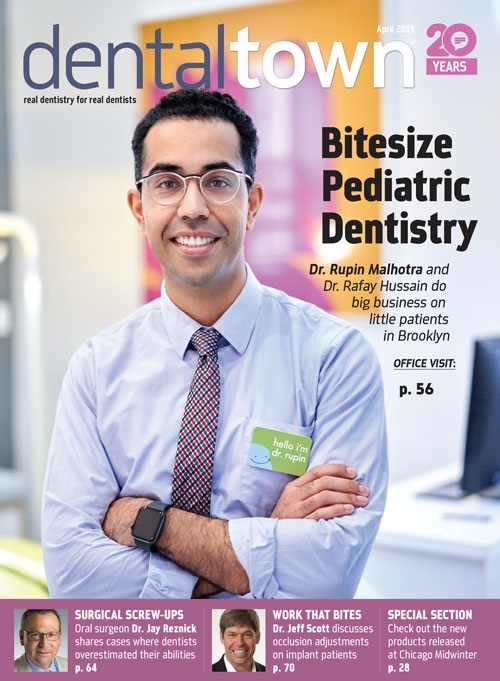 He attended the residency program at Nationwide Children’s Hospital / The Ohio State University, one of the nation’s top-ranked pediatric hospitals and busiest pediatric dentistry clinics. Dr. Baxter is a Board Certified pediatric dentist and Diplomate of the American Board of Pediatric Dentistry. After graduating from residency, he opened his own practice in Birmingham, AL, Shelby Pediatric Dentistry. His practice has grown quickly, and he was recently named the Small Business of the Year in his county in addition to Healthcare Professional of the Year. Dr. Baxter enjoys spending time with his wife, who is a nurse practitioner but is currently home with their twin 2-year-old girls, Hannah and Noelle (who both had tongue and lip-tie). They both have a passion for using medical and dental skills for local and global missions. The speaker declares that neither he nor any member of his family have a financial arrangement or affiliation with any corporate organization offering financial support or grant monies for this continuing dental education program nor has a financial arrangement with any product or service mentioned in this course. 6 people would recommend this course to a friend. Great course. Highly recommend it. Not sure about homeopathic recommendations, otherwise very informative and very good. Richard's 2 courses were top notch! I learned of a lot of helpful diagnostic and treatment tips for tongue ties and lip ties. Great topic. Nicely presented. Thank you!